Hi everyone! Sylvia Blum here and I am thrilled that I was invited to write an article about stamping here on Lisa's blog! Thank you so much for the invitation, Lisa! 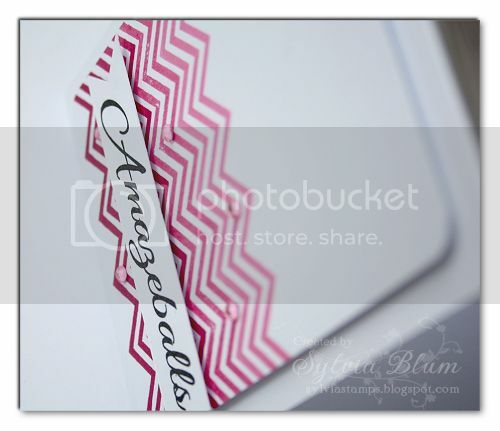 We are going to make the above shown card and create an "ombre" effect by using one background stamp and two inkpads! I will show you how I did this and also share some general tips that I think are helpful to know when you are stamping. Instead of adhering the stamp onto an acrylic block, lay the stamp down onto the table (face down!) and make sure it lies straight. 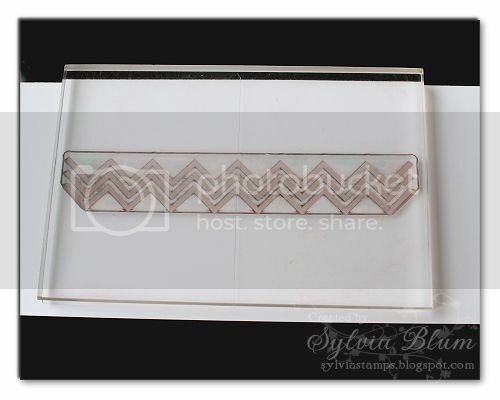 Then press the acrylic block onto the back side of the clear stamp, as shown in the picture below. This way you make sure to have your stamp attached straight to the block. If you do it the other way (press stamp onto acrylic block) it sometimes happens that the stamp is not straight on the block but is attached buckled or wavy. 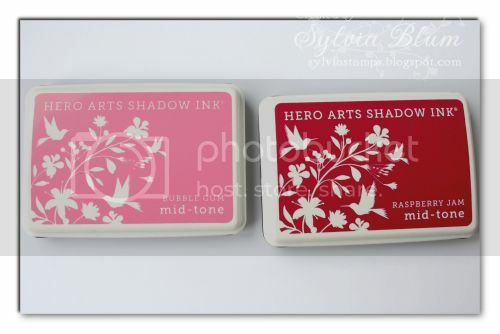 Hero Arts "Bubble Gum" is a light pink color and "Raspberry Jam" is a very rich and dark pink color. 1. 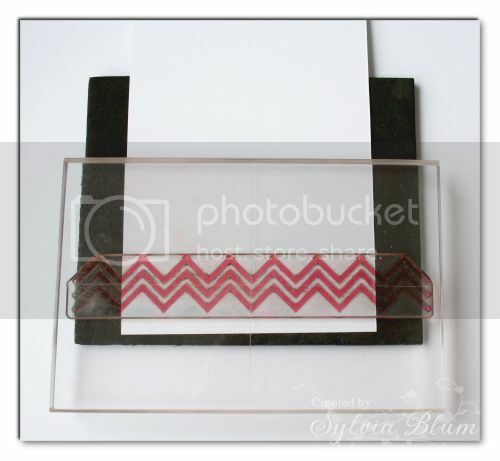 Ink the chevron stamp using the dark color and stamp it on the bottom of the white cardstock. Clean the stamp! 2. 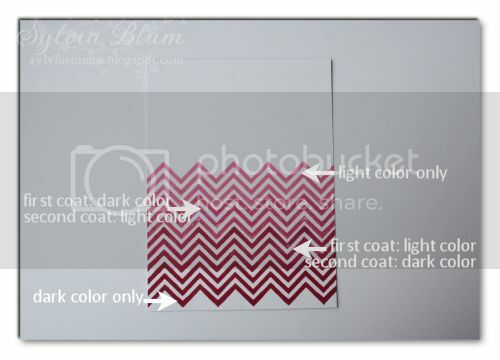 Ink the chevron stamp using the light color, then lightly dab the dark inkpad over it. Stamp above the first line of stamped chevron pattern. Clean the stamp! 3. Ink the chevron stamp using the dark color, then lightly dab the light inkpad over it (don't worry, the light colored inkpad will not be ruined! I use this technique often and have never had any problems with my inkpads). Stamp above the second chevron line. Clean the stamp! 4. Ink the chevron stamp using the light color and stamp it above the third chevron line. I rounded all four corners of the stamped panel using the 1/4" corner of the Corner Chomper tool. Afterwards I stamped "You are" with black ink in the left upper corner of the same panel and then I attached the panel to a slightly larger white cardbase using dimensional foam adhesive. Now a little bling for some additional interest - and your stamped ombre card is finished! 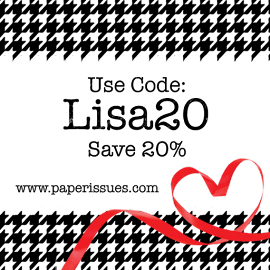 Once again: Thanks so much for having me as a guest on your blog, Lisa! inks - Hero Arts "Bubble Gum" + "Raspberry Jam"; Versafine "Onyx Black"
love the clean look to this card! Awesome tutorial and great tip about using the mouse pad. Makes for a fabulous card! Wow! This is amazing!! Love love love the ombre effect!! Wow, that is really clever! Thanks for sharing! great tip and card! Lovely Look!! ooooooo love the tip. i never think of those things. and it looks so easy to do. This is a wonderful tutorial, great explanation and great card! Love the card! Great tutorial! Great stamping. Love the ombre effect. Love the ombre chevron, beautiful! Beautiful card and I love that stamp! Love the Ombre trend and the technique on your card is so adorable!! That is amazing! And ps love your title!! Thanks for the tip, love the ombre effect in your card. Awesome tutorial!! As soon as I'm on pc I'll pin it! Thanks! !